The East Wing of National Gallery in DC by I.M. Pei and The Tokyo Forum by Rafael Viñoly are two classic examples of matter-of-fact contextual response through their clarity of parti. Both projects are situated on a trapezoidal site with two particular elements of reference. 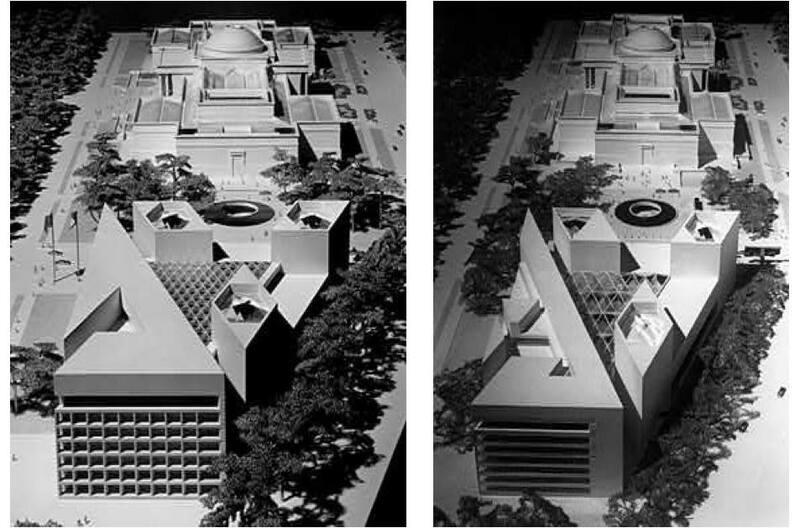 For the East Wing, it is the West Wing designed by John Russell Pope in the beginning of the 20th century and the diagonal boulevard from L'Enfant's master plan; for The Tokyo Forum, it is the busy and bustling JR railway and the gridded urban context. Through the murmur of the site, both projects achieved its clarity of form through its simplicity of reinterpreted geometry. Most revealing is that, Pei was one of the judges -together with Kenzo Tange, Vittorio Gregotti- who selected Viñoly's scheme through an international architectural competition. The similarity between their approach to generate an architectural form through the site is quite profound.